Nothing says happy like a pretty rainbow. 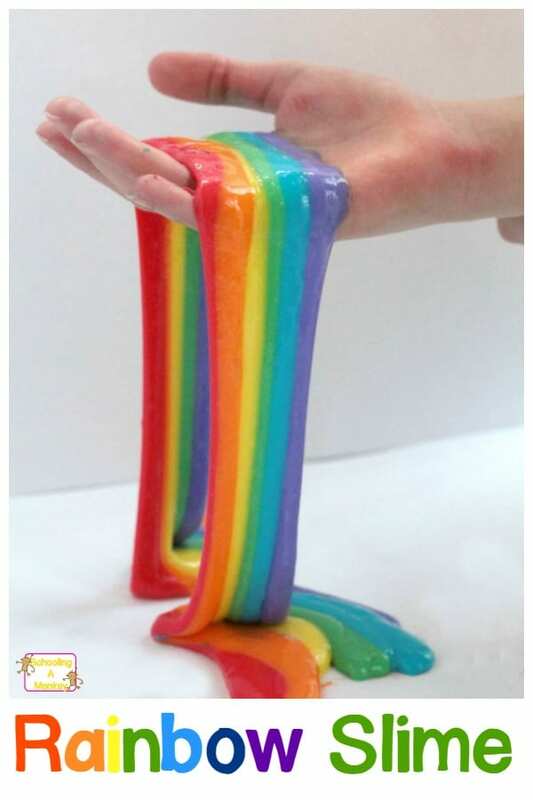 And this amazing rainbow slime will be a HUGE hit in your science classroom, or just at home! We love slime recipes. It’s one of our favorite things to make. Slime is fun because it is always impressive to see molecules bonding together in a new way right before your eyes. Plus, who doesn’t love playing with magic, stretchy slime? We’ve found that the best slime recipe doesn’t use Borax powder (although we’ve made some cool slimes with Borax! ), but rather with laundry starch (laundry starch does contain Borate though, so don’t use this recipe if you are sensitive to Borate chemicals). You can buy a huge container of starch that will last you a LONG time. 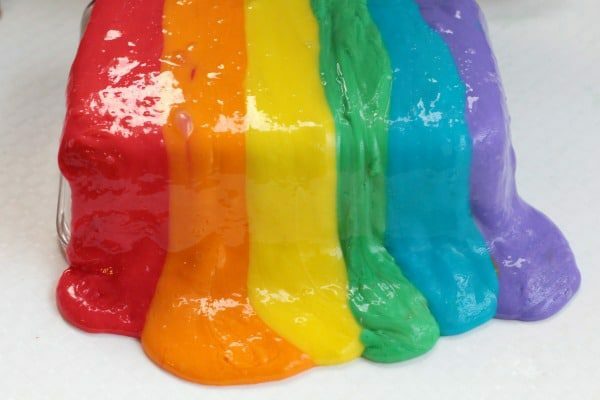 The only way to make slime more fun is to bring in more color. A LOT more color. 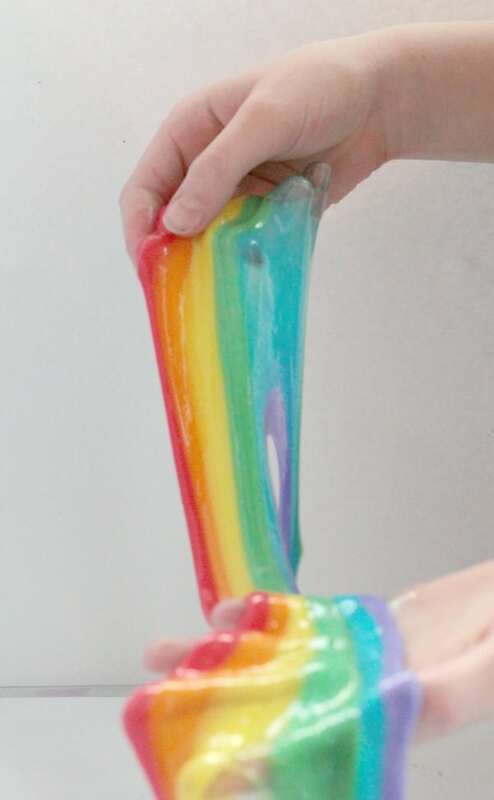 And so, rainbow slime is born. 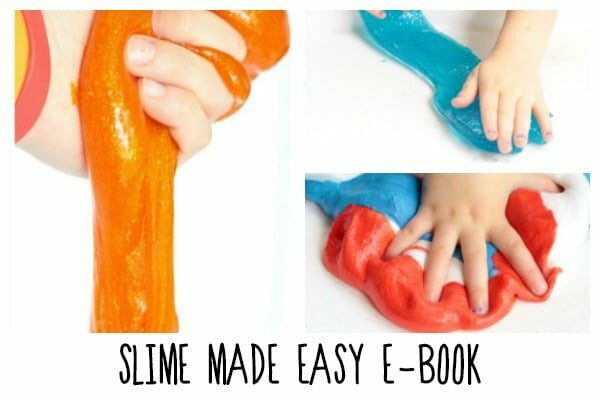 More Slime Recipes to Try! 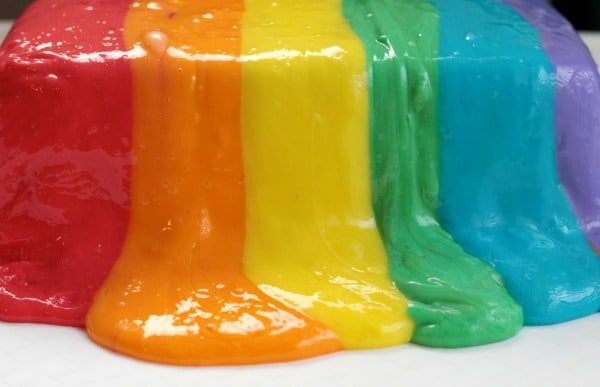 Read on to see how to make the very best rainbow slime! And don’t forget to try these other colorful slime recipes: unicorn poop slime, galaxy slime, and tie dye slime! If this is your first time making slime, you should follow along with our post on slime troubleshooting. Luckily,liquid laundry starch slime made with clear glue is the easiest slime recipe. 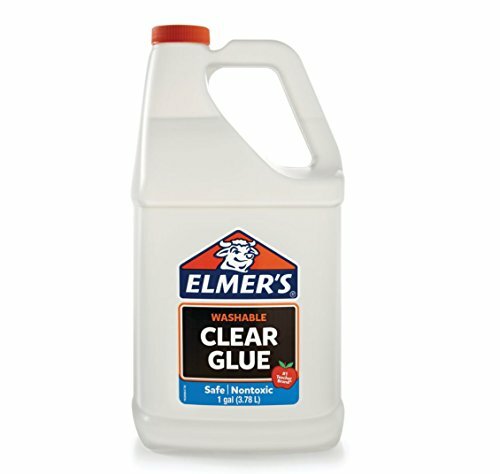 You can make this slime using white glue or clear glue, for slightly different effects. 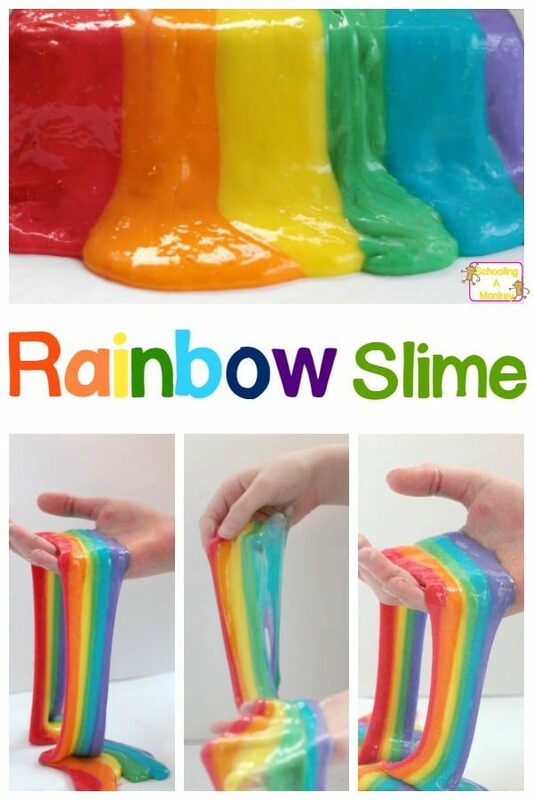 Follow these directions and you’ll have the best rainbow slime ever! 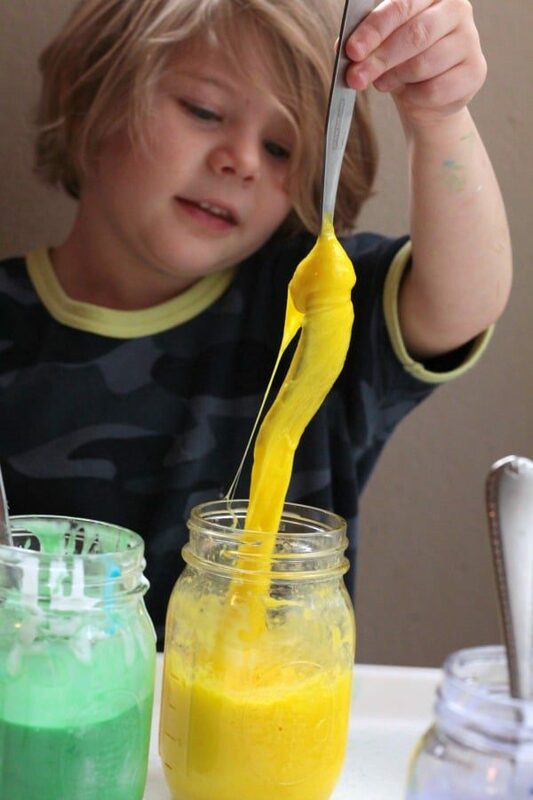 This Borax-free slime is fun for all ages (except for babies who might eat it). First add 1/2 a cup of water to each mason jar. 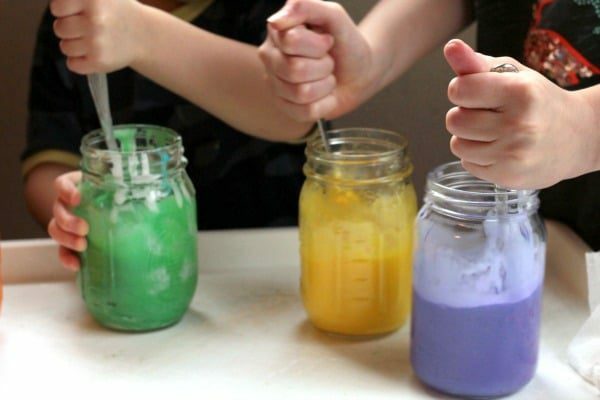 Put a squirt of color into each jar (red, orange, yellow, green, blue, and purple). Mix. 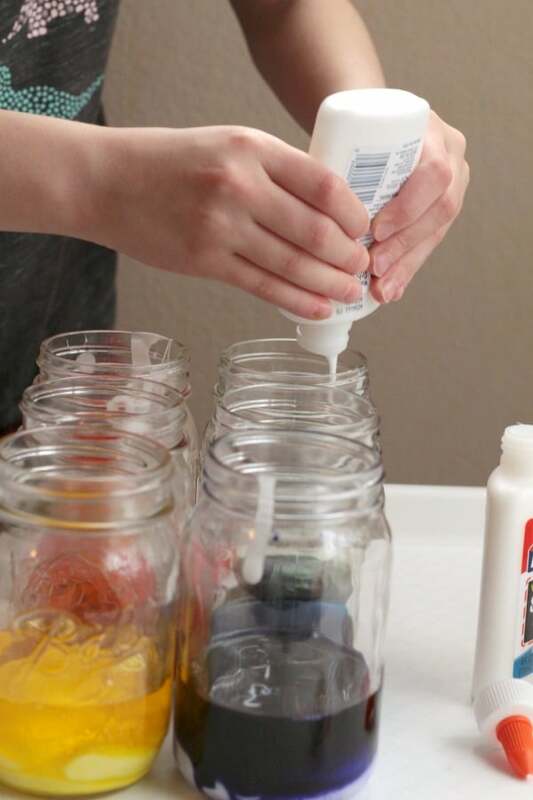 Add one bottle of glue to each jar and stir until combined. 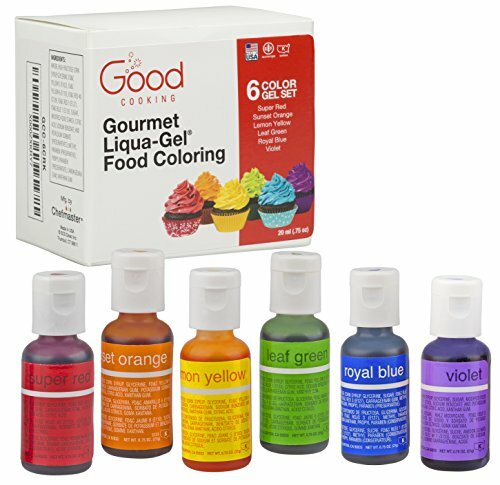 Or, if you buy a gallon of school glue (which you’ll want if you make slime a lot, so much cheaper! ), put 1/2 a cup of glue in each jar. Pour 1/2 a cup of laundry starch into each jar. Stir with a fork until the mixture starts to form stretchy, polymer bonds. It will sound like a dog lapping when it’s about ready. Wait 10 minutes for the glue and starch to fully bond. This will prevent your hands from getting as sticky. Place one clump of each color in the order of the rainbow: Red, orange, yellow, green, blue, and purple! 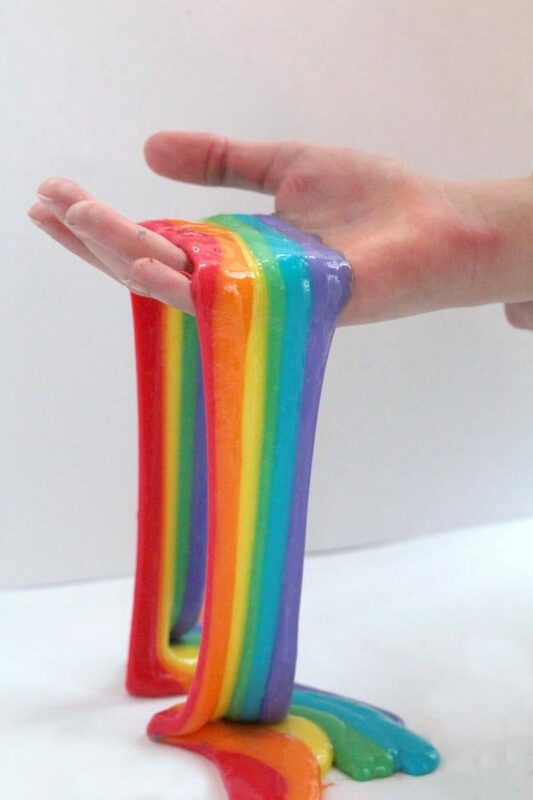 Stretch and play with this amazing rainbow slime! Just watch out, if you mix all the colors together it becomes an ugly brown. If you want to make this into a full STEAM activity, try mixing glue with other ingredients to see if you can make slime in other ways. 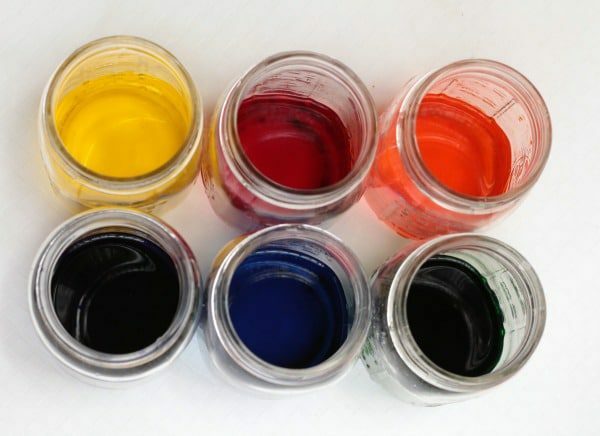 You can also try mixing colors of slime together. 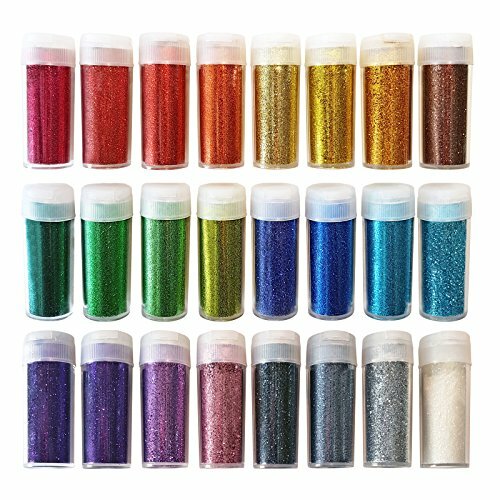 What new colors can you make? 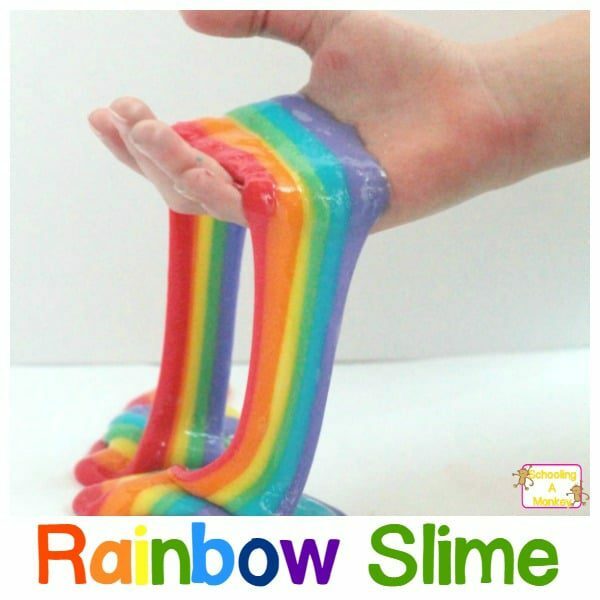 Our rainbow slime is the perfect science experiment for ST. Patrick’s Day. These other fun educational ideas will round out your ST. Patrick’s Day unit study!